Hire Leer Photography for your sports portraits! When you hire Leer Photography for your sports portraits, we become part of YOUR TEAM! We will help you organize a schedule for photo day, offer photo fundrasiers for your organization, individualize our package pricing to raise money for your team, offer trophies/plaques, etc. 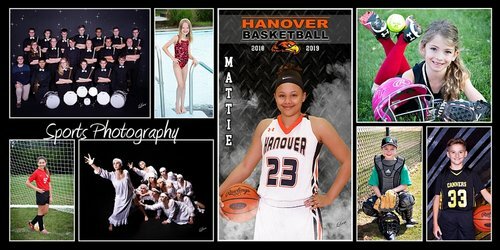 at cost to the organization to use for coach/sponsor gifts, give the volunteer coaches free portraits thanking them for their time, and most importantly, we sponsor every organization that uses us for their photography needs. We will do whatever it takes to make photo day as easy as possible and would love the opportunity to show you the great photo products we offer. Call today to schedule a free consultations.